A codicil is a short additional document, typically one or two pages, which can be used to make an alteration to an existing will. It can be used to revoke (cancel) a whole will, part of a will, to explain something in the will, or to revive an earlier revoked will, or to confirm the rest of the will. More than one codicil can be made. Just as with making a will, you must have the required capacity. It must be signed according to the legal formalities required for executing a will to ensure it is valid, and it then becomes part of the will. Both the will and all codicils must be submitted to the Court when applying for a grant of probate. Codicils are typically used to make minor changes to an existing will such as changing an executor. There are no prescribed or standard forms for a codicil. While it might seem a straightforward matter to amend an existing will, this belies potential problems, and unless the changes are relatively simple, more often than not, it is preferable to make a new will. However, seek legal advice for your particular circumstances. Codicils can cause problems, and because of that lawyers often advise it is preferable to make a new will. Even minor changes can sometimes turn into major problems down the track. If you are unsure whether to amend an existing will with a supplementary document such as a codicil, or make a new will, seek legal advice. Other potential problems are that being a separate document made at a different time and even place to the will it relates to, it can become lost or forgotten about when it comes to applying for probate. A codicil should be kept with the original will it relates to, and in a safe and secure place. When applying for probate, the executor is required to lodge an affidavit (a written statement sworn or affirmed to be true) in the Supreme Court Probate Registry supplying information on certain matters. Depending on the state or territory, this may include stating whether or not the deceased left a codicil to their last will and if so, the date made. The word ‘codicil’ comes from Latin, meaning a letter or note. It is only used in relation to making changes to a will document, a testamentary document which operates when you die. It is not for making changes to other documents such as a trust deed for example. To do that, you need to follow the procedures set out in the trust deed, and seek legal advice. For a codicil to be valid it must comply with the legal formalities required for making a valid will. This means it must be in writing and signed and witnessed in the presence of at least two people in the same way as that for a will. Then together with the will, and any other unrevoked testamentary dispositions of property, all the documents form a person’s will. This is usually the meaning of “will” given under succession and wills legislation. Wills normally begin with a statement (known as a revocation clause) that the will-maker cancels (or revokes) all previous wills and testamentary acts. When a codicil is made to a will, it is vital that in referring to that will, the codicil has the right date in order to be effective. This is particularly important where there may be more than one will made and there is no confusion. If you wish to alter an existing will through the use of an additional document, ie a codicil, seek legal advice. Where a codicil is used to cancel (revoke) part of an existing will care is needed to ensure that it is indeed partly revoked as required, and no inadvertent revocation of the whole will takes place via the codicil. Codicils have been used to revive an earlier will, which again means that referring to the correct date on the will to be revived is crucial, and ensuring that any other testamentary documents no longer wanted are properly cancelled. This approach is not really desirable given the chance for things to go wrong. Situations where multiple wills have been made, and the existence of one or more codicils, are recipes for inadvertent date errors to be made. There are reported cases dealing with such complexities. The last thing anyone wants are expensive court proceedings to resolve the matter. If possible it is preferable to make a new will altogether so as to avoid misunderstandings. In the overall scheme of things, any extra costs in making a new will up front would be less than the costs of possible future legal proceedings to the estate to sort out during the probate process. Generally the wills and succession statutes all define a “will” to include a codicil. Section 3 “Definitions” of the Succession Act 2006 (NSW) is a typical example. If a codicil to a will is made, it is important to double check both documents together to ensure the clauses provide for what the will-maker intended, and there is no conflict or omissions. A codicil must be signed and witnessed in the same way as that for a will for it to be legally valid. In other words the procedure to follow for signing a codicil is the same as that for executing a will, set out under the wills and succession legislation in each state and territory. The statutory formalities require the person making a codicil to sign it in the presence of a minimum of two witnesses as prescribed by the relevant statute. For more information about the legal formalities on executing a will click here; for about witnesses to a will click here. The original codicil made to a will should be stored with the original of that will in a safe and secure place. Read about storing an original will here. Loss – There is a risk the codicil will become separated from the will and overlooked, or forgotten. Time period and capacity issues – If a long time period has elapsed from the time the will was signed to when it was amended by a codicil, questions may arise, depending on the circumstances, as to the underlying reasons, in particular on the will-maker’s capacity and testamentary intentions. Were they acting freely in making the changes or was there any undue influence? Other concerns might be if the terms of a codicil are materially different to that of the existing will, especially if the will had not been too long ago. In one case a notebook containing handwritten notes, undated and unsigned was found on a table in the deceased’s home. The judge noted that the notebook had not been hidden away. The deceased had been living alone. Some time before the deceased had made a valid will, and formally executed. The executor applied for probate of the will, together with the handwritten notebook. This was described as being an informal codicil to the will. The executor sought a declaration from the Court that the informal codicil was really a valid codicil to the will. 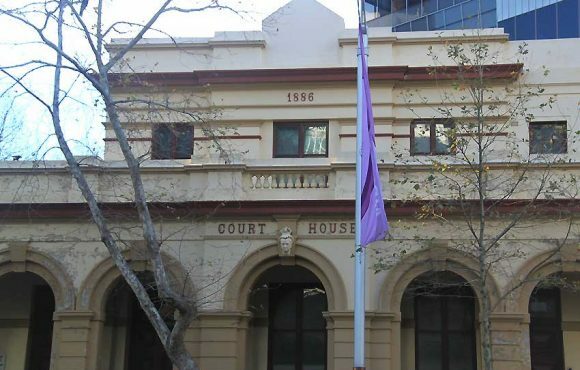 However, not every informal codicil is admitted to probate.2 In a New South Wales case2, the Court said that the executor had not established that a codicil made by the deceased had been executed according to law, that is section 6 of the Succession Act 2006 (NSW). Generally, as said above, a codicil should only be used for very minor alterations to a will. Examples of a minor alteration is to appoint another executor, change an executor, or change who is to take a specific item of property. It might be tempting to do this yourself, but consider the costs to your beneficiaries and executors if there is a mistake, compared to the lesser cost of having it prepared professionally. Someone gravely ill may have second thoughts over something and wish to make changes to their testamentary intentions as stated in their will. Making a codicil can be a convenient option to facilitate this, where the circumstances are that it is difficult as a practical matter, to obtain legal assistance for a whole new will and complete all the formalities. To avoid any contentions and possible costly challenges later, if it all possible seek assistance from a qualified lawyer in wills and estates who can advise in the particular circumstances. Some wills and estates practitioners offer bedside attendances as part of their services. Contact the law society in your state/territory to find one. The Court has to be satisfied that the will maker knew and approved of any codicil to their will, and that such a document was intended by them, if not the cases show that the Court won’t admit it to probate. Your feedback is important to improving this content on codicils. Was the information helpful? If not, please write your suggestions below. Were you looking for a codicil form to change your executor/s and trustee/s? This entry was posted in Altering, amending, Codicils, Will-making, Wills and tagged alteration to will, altering a will, amending a will, change executor, changing a will, codicil, form, hand written codicil, informal codicil, minor alterations to a will, minor amendments, minor amendments to will, minor changes, minor changes to a will, NSW, undated codicil, unsigned codicil, what is a codicil, will by BHS Legal. Bookmark the permalink.